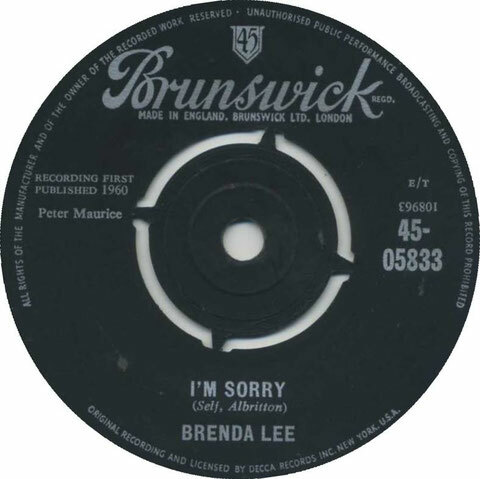 "I'm Sorry" is a 1960 hit song by 15-year-old American singer Brenda Lee. It peaked at No. 1 on the Billboard Hot 100 singles chart in July 1960. AllMusic guide wrote that it is the pop star's "definitive song", and one of the "finest teen pop songs of its era". It was written by Dub Allbritten and Ronnie Self. On the UK Singles Chart, the song peaked at No.12. 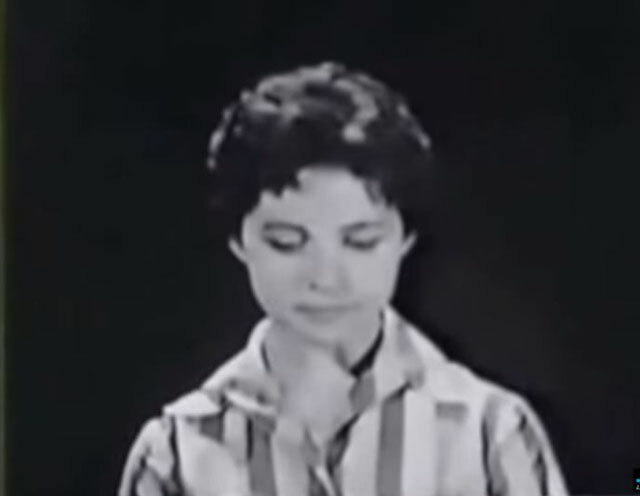 According to the Billboard Book of Number One Hits by Fred Bronson, Brenda Lee recorded the song early in 1960, but her label, Decca Records, held it from release for several months out of concern that a 15-year-old girl was not mature enough to sing about unrequited love. When the song finally was released, it was considered to be the flip side of the more uptempo "That's All You Gotta Do". Although "That's All You Gotta Do" was a chart success in its own right, reaching No. 6 on the Hot 100, it was "I'm Sorry" that became the smash hit and the standard. On other charts, "I'm Sorry" peaked at number four on the R&B chart and "That's All You Gotta Do" peaked at number nineteen on the R&B charts.